This is an invitational event to establish the National Dog Agility League. Everyone who participates in March will become a de facto founding member of that league. In many ways we don’t yet know how we will operate. There is a small matter of electing a Board of Governors and establishing the business of the League. 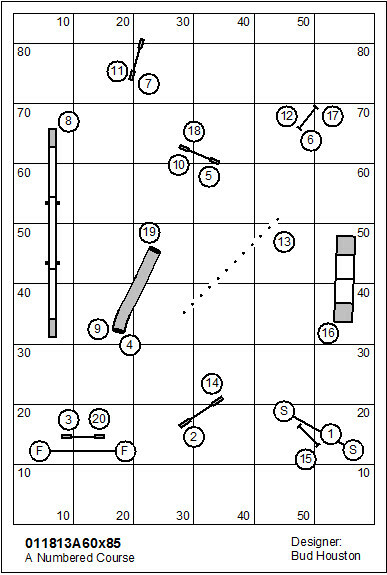 This is a short numbered course which will be scored Time, Plus Faults. 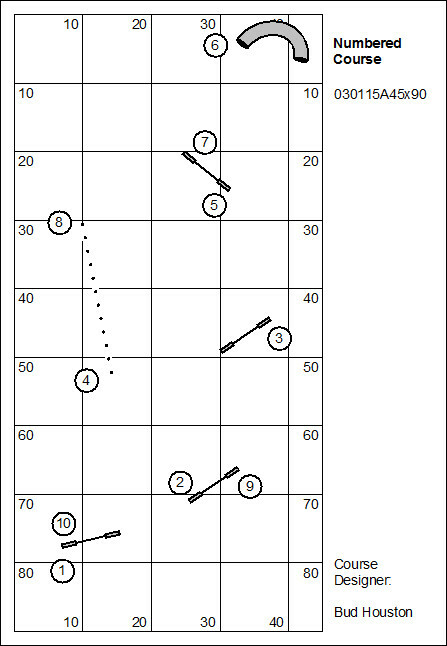 See also: Agility League March Course; which includes a brief discussion of the technical elements of this course. Click to download the score-keeping Excel file: Event Workbook. Click to download the Catalog of Games and Courses: Catalog. Clubs can set up any course in the Catalog and add their own results to existing results. The Catalog will grow over time.